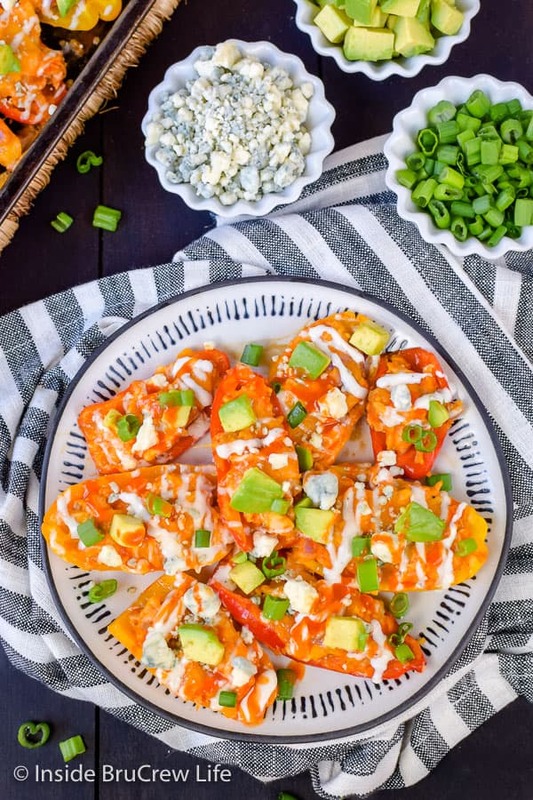 Make a sheet pan of these Buffalo Chicken Pepper Nachos and dig in while you enjoy your favorite show or sports team. This easy low carb appetizer comes together in minutes and tastes amazing. One of my all time favorite appetizers is a giant plate of chips loaded with ALL the toppings. If they are so messy that I need to use a fork that’s even better because that just means they are totally loaded with goodness. Of course, eating these kind of game days snacks all the time isn’t the best idea. When you are following a healthier way of eating, staying away from all the extra carbs is the better option. 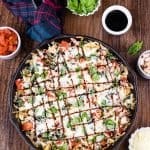 Over the last few months we have been using cauliflower to make these Chicken Caprese Cauliflower Nachos and these Loaded Pizza Cauliflower Nachos. They are delicious, but I wanted to change it up a little bit by using mini peppers this time. 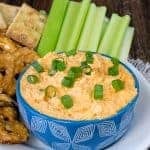 Everyone in our family loves this Easy Buffalo Chicken Dip, so I wanted to incorporate that cheesy dip into a pan of healthy nachos. 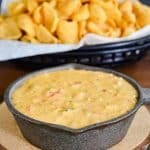 Using mini peppers as a base for the dip and melted cheese was a great way to make this a lean and green meal. 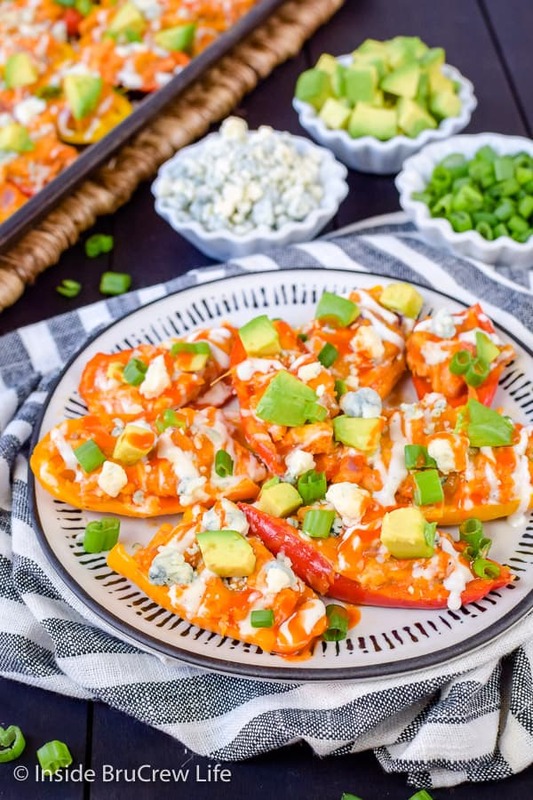 I even added blue cheese crumbles on the top of this easy appetizer because I know all the buffalo chicken fans out there say this is the right way to enjoy it. At least that’s what I hear from everyone who loves this Buffalo Chicken Pasta Bake. Of course, our kids weren’t too happy that I added the blue cheese to the top of all the pepper nachos. You should have heard them grumble as they picked all those bits off their nachos. I have to admit that once again I actually liked the taste of the blue cheese crumbles when mixed with the ranch dressing and buffalo wing sauce. 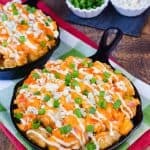 The first time I tried it on these Buffalo Chicken Totchos I became a fan of this particular cheese. Preheat your oven. 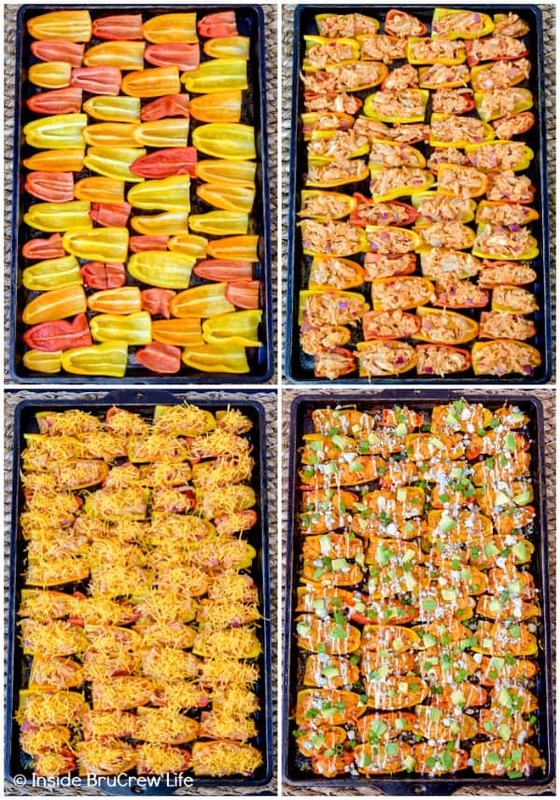 Spray a sheet pan with nonstick spray. Cut the peppers in half and place them face up on the prepared pan. Mix together the shredded chicken, diced onion, and buffalo wing sauce. Spoon the buffalo chicken mixture evenly on top of the pepper halves. 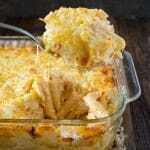 Top the peppers with the shredded cheddar cheese and bake for 12-14 minutes. 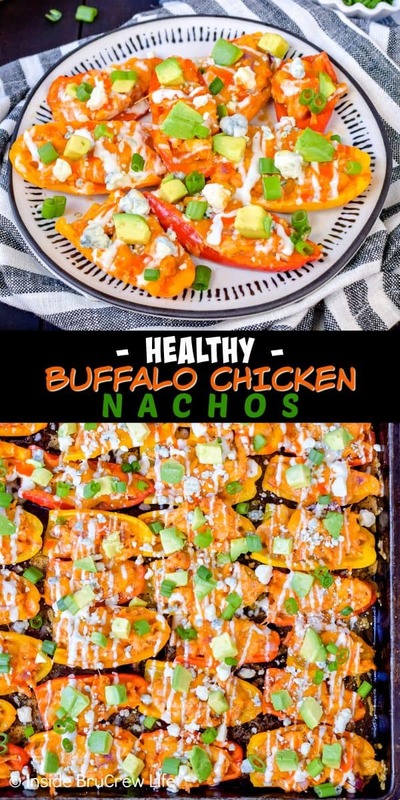 Remove the pan from the oven and drizzle with ranch dressing and a little more buffalo sauce. 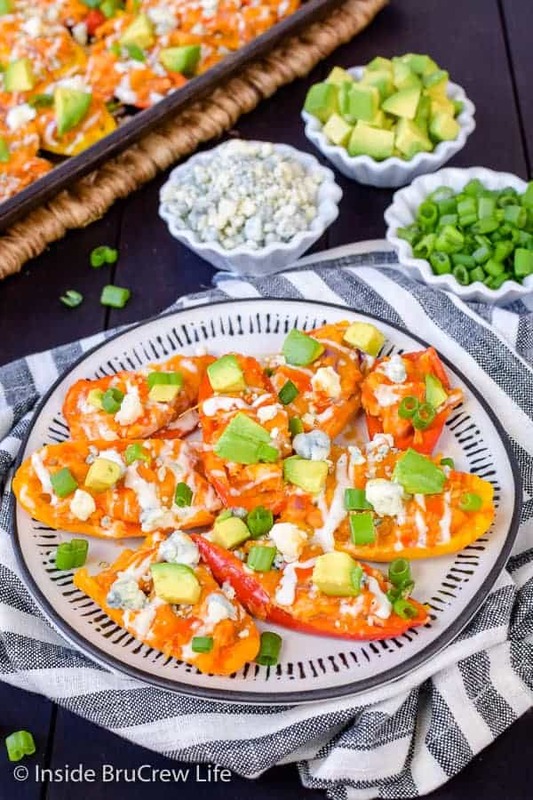 Top with blue cheese, green onions, and avocado chunks and eat immediately. A few ingredients and a few minutes are all you need to have this Easy Homemade Salsa ready to dig in with chips. Loaded Bacon Jalapeno Deviled Eggs are the perfect picnic appetizer. Bacon, cheese, and bits of spicy peppers give the egg filling such a great taste and texture. These easy Pizza Pinwheels are loaded with cheese and your favorite pizza toppings. Great snack for lunches, after school, or game days. Preheat the oven to 400 degrees. Spray a sheet pan with nonstick spray. Cut the mini peppers in half and place face up on the prepared pan. Mix together the chicken, onion, and 1/2 cup buffalo sauce in a bowl. Spoon the mixture evenly into the halved peppers. 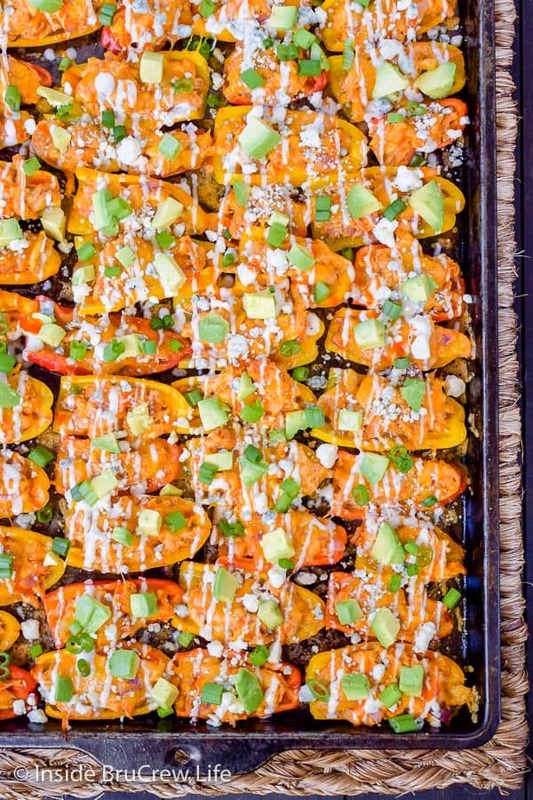 Top the peppers with the cheese and bake for 12-14 minutes. Remove the pan from the oven and drizzle with the ranch dressing and extra buffalo sauce. Top with blue cheese crumbles, diced avocado, and green onions and serve immediately. These are so delicious and filling without the guilt of overdoing it. Everyone loved them. Oh, my I need to try these!! I love all these ingredients, but haven’t tried them together! These would be great for a party!! Oh yes please! These nachos are the best! 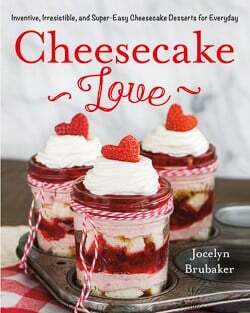 Delicious recipe my goodness, so perfect for any occasion! Love this idea! 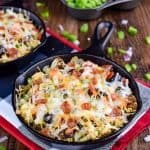 Such a yummy low carb option!